Brooklyn seems a lot more calm and relaxed than the busy streets of Manhattan, but it is far from boring. 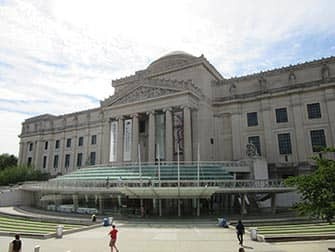 You can do and see a lot: spend a fun day at Brooklyn Bridge Park, visit Coney Island in the summer and at Christmas see the amazing decorations in Dyker Heights. 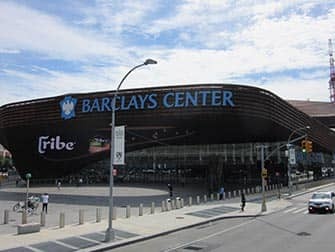 Cheer on the Brooklyn Nets at Barclays Center, shop at the hip stores in Williamsburg and of course, walk back to Manhattan over the Brooklyn Bridge while enjoying the amazing view. 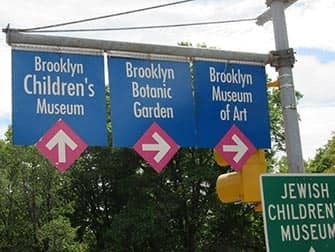 If you don’t feel like exploring Brooklyn on your own consider joining one of the many guided tours available. Feeling adventurous? Consider renting a bike to explore Brooklyn. 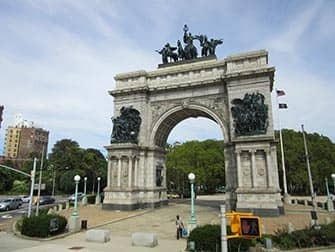 You can take a walking tour through Brooklyn if you would like to see a lot. 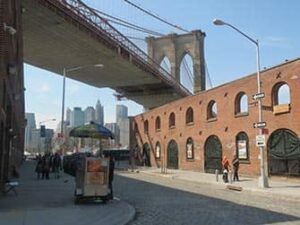 You’ll go to famous landmarks and neighbourhoods like Brooklyn Heights and DUMBO. If you’d like to include food into your tour, I recommend taking the Brooklyn Pizza Tour. You’ll learn more about Brooklyn and Coney Island whilst sampling some delicious New York pizza. For an uplifting experience, take the Brooklyn Gospel Tour. Walk by some beautiful brownstones in Brooklyn Heights and enjoy the beautiful view of Manhattan. This tour ends with a live gospel performance by the Grammy-Award winning choir at the famous Brooklyn Tabernacle. 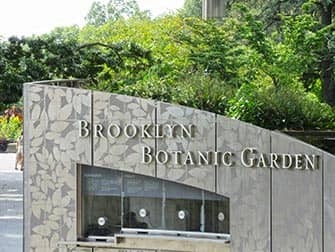 The Brooklyn Botanic Garden is a beautiful and magical place where you can escape the concrete jungle for a while. Founded in 1910, the garden is made up of many smaller gardens within. The Cherry Esplanade is very famous: it has more than 200 cherry trees and their blossoming is a big and celebrated event. The Japanese Hill and Pond Garden was the first Japanese garden created in an American park. It has a koi pond, Japanese temple, a Shinto shrine and Bonsai. At the Cranford Rose Garden you can see nearly 1,400 species of roses. The Children’s Garden is a community space where kids learn and grow their own plants. The Fragrance Garden is a garden designed for the vision-impaired where everyone is invited to experience the plants in a different way: touching, rubbing or smelling them. At the Yellow Magnolia Cafe you can relax and enjoy some organic food. Sunset Park is where you will get the authentic Hispanic vibe in Brooklyn. It’s a nice area to walk around during the day and experience something totally different to Manhattan. Take the subway D, N or R to 36th Street and walk through 5th Avenue. This is also a good place to have lunch as there are many nice little restaurants. Try some Peruvian food at Super Pollo, or for some delicious chorizo tacos head to Tacos Matamoros. 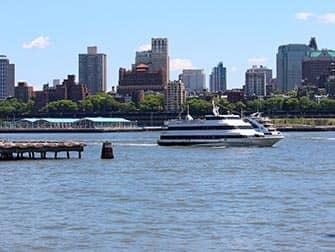 Visit Sunset Park (the park with the same name as the neighbourhood), sit on the grass and enjoy the beautiful view of Manhattan (you can even see the Statue of Liberty). If you’re staying a little later, this is a perfect spot to watch the sun set. If you’re interested, the beautiful and peaceful Green-Wood Cemetery is also nearby.